Beginning November 5, 2018, garbage, recycling, yard waste, and bulky waste collection will change in Macon-Bibb County. 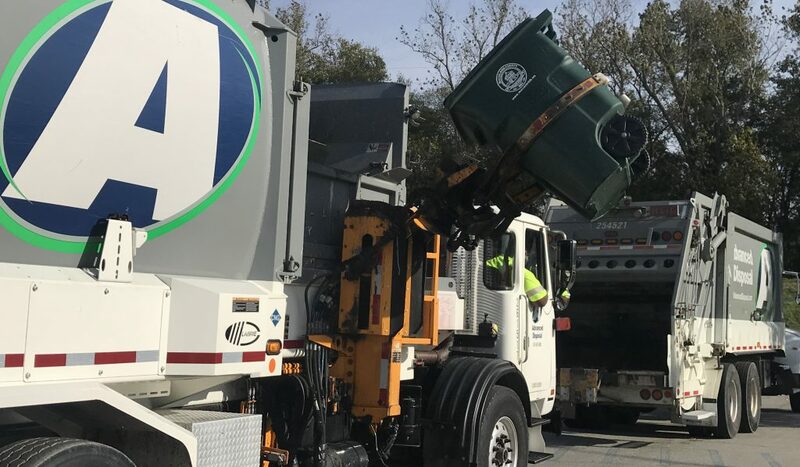 Advanced Disposal Services (ADS) will be responsible for garbage and recycling, while Macon-Bibb’s Solid Waste Department will be responsible for yard and bulky waste. Days will not change for garbage and recycling collection, but yard waste collection will move to four days per week on alternative weeks. A day will not be specified due to the uncertainty in how much needs to be collected each week. By designating the week yard waste is to be collected, Solid Waste can make sure a route has all of its yard waste collected before moving to the next. Advanced Disposal Services will now be responsible for collecting household garbage and recycling in the blue rolling carts or buckets. Please place carts at least 3 feet from mailbox and other obstructions. Also remember to please bag trash, and have carts placed two feet from the street (handles toward the house) to help prevent litter. They will also be responsible for the maintenance and replacement of the bins. Collection days and weeks will remain the same after this transition, with garbage picked up weekly and recycling picked up every other week. Beginning November 2, you will be able to learn what day and week collection happens by visiting http://sw.maconbibb.us. There, people will find a description of services and an interactive map where they can search for their address. Clean items that can be recycled: cardboard, food boxes, paper, beverage cans, food cans, plastic jars, milk & juice jugs, plastic bottles and caps. (Please note that glass cannot be recycled.) All recyclable items are to be placed loose (not in trash bags) in a recycling container. Items that cannot be recycled: glass, plastic grocery bags, baby diapers, take-out containers, aerosol cans, Styrofoam, ceramics & pottery, paper coffee cups, batteries, shredded paper, hypodermic needles, pizza boxes, vehicle parts & scrap metals, paint, pesticides, automotive fluids, diesel fuel, gasoline, kerosene, car batteries, wet paper, & milk & juice cartons. 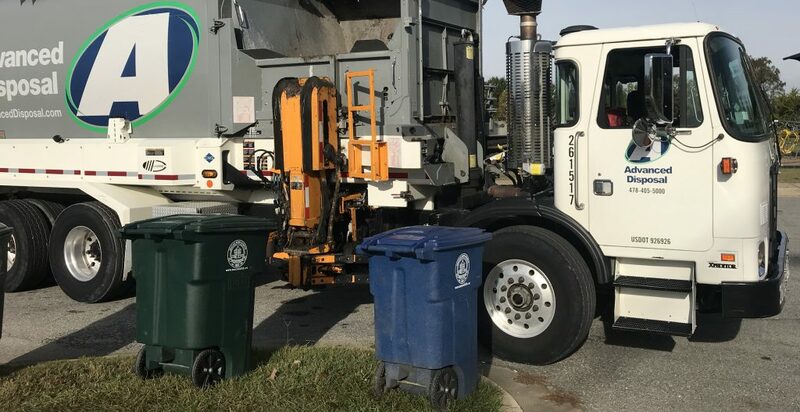 To report issues with garbage and recycling collection – including missed pickups and broken or missing carts – you will contact ADS at 478-405-5000 or report it with the free SeeClickFix mobile phone app or at www.maconbibb.us/seeclickfix. 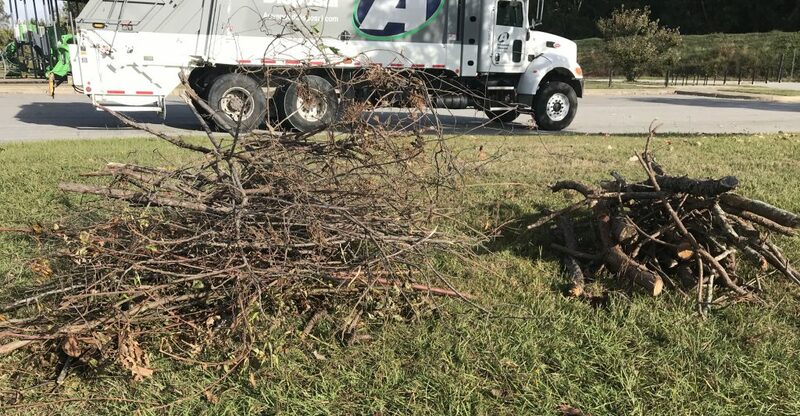 Macon-Bibb’s Solid Waste Department will be responsible for picking up yard waste (containerized and piles) and bulky waste (furniture, mattresses, large toys, etc.). These collections will happen every other week, four days a week. This is a change from the previous collection schedule. There will not be a specific day for yard waste due to the uncertainty each week of how much yard waste needs to be collected. Please place all yard waste at the curb by Sunday evening of your collection week, and it will be picked up that week. Beginning November 2, you will be able to learn what week collection happens by visiting this link: http://sw.maconbibb.us. Have nothing but yard waste (leaves, branches, twigs, grass clippings, and pine straw) in bags or containers. Break branches into lengths shorter than four feet and keep separate from other piles. Include only branches that are smaller than 4 inches in diameter. Bag up all leaves, pine straw, and grass clippings. If you have more than a pickup truck load of debris, contact the Solid Waste Department for special handling services. 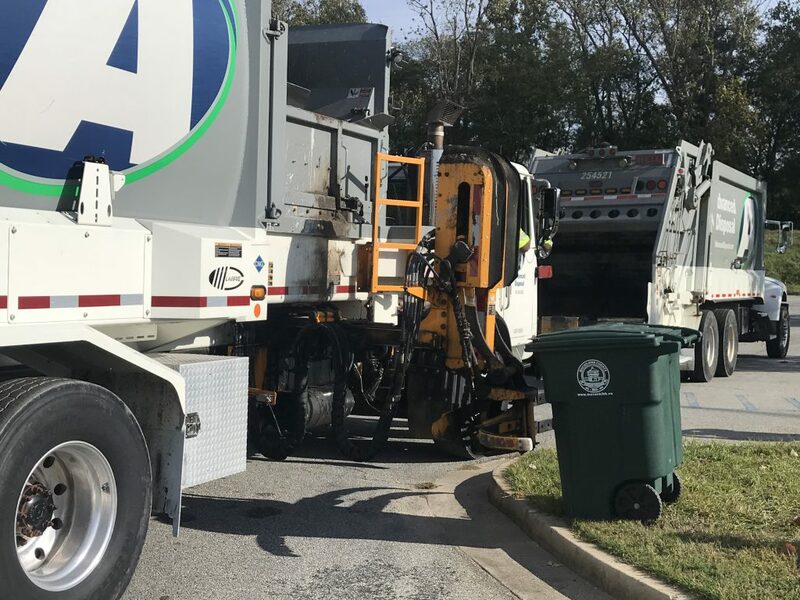 To report issues with yard waste and bulky waste collection – including missed pickups – you will contact the Solid Waste Department at 478-803-0499 or report it with the free SeeClickFix mobile phone app or at www.maconbibb.us/seeclickfix.